The Court’s decision makes it likely that if you meet certain minimum state-tax law requirements, you may now, or soon (depending on the state), be required to register and collect sales-taxes on all coins, currency, and precious-metals sales to buyers in any state without full numismatic and bullion exemptions. If you do not collect sales-taxes where required on any or all retail sales, you or your company will owe the tax regardless of whether you collected it from the buyer. Moreover, state numismatic exemptions will be in jeopardy as states reconsider their sales-and-use tax laws. The Court’s decision is not limited to internet sales. It includes telephone solicitation sales, newspaper and radio ad responses, flyers mailed by you or your business, telecommunications of any kind, and any other means leading to a sale across state lines. There are no exceptions. Unless a state has (and maintains) an exemption, consumers who currently buy across state lines will now have to pay sales-taxes on purchases from out-of-state dealers, even if the dealer is located in a state with an exemption. ICTA has successfully grown the number of states with full or partial exemptions to 37 states in five years, including Alaska, Delaware, Montana, New Hampshire, and Oregon, which do not have sales or use taxes. Maintaining and expanding that work is now even more important than ever to reduce the risk the burdens of new or amended state tax laws. States will require out-of-state dealers (meeting thresholds) to register with the state where delivery occurs. Some states may have very low thresholds. Exempted sales will count toward the threshold and registration will be required. Business to business transactions will become much more complicated. 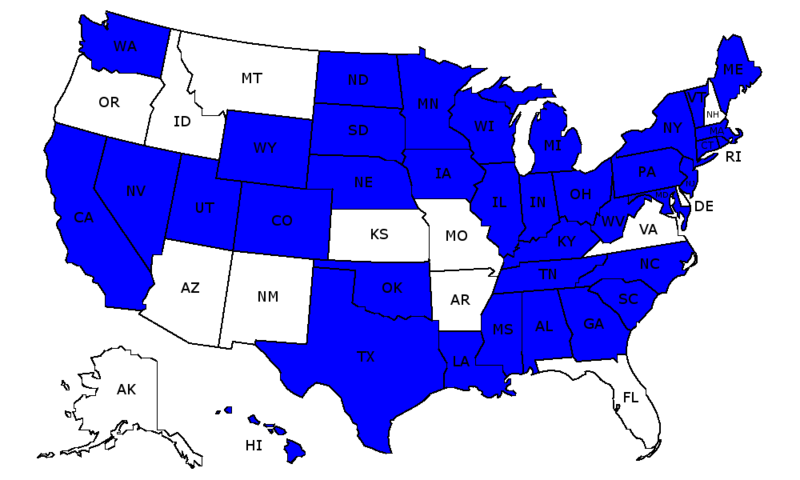 Ten states presently do not accept out-of-state resale certificates. States can enforce sellers to bear the entire cost of tax collection and require audits to be held in the buyer’s state. What was very important is now crucial. Dealers need to recognize that every single one of their customers could be targeted by new tax laws and/or losses of exemptions. Dealers are now affected by what happens in every state, not just their own state. ICTA is a 501(c)(6) tax-exempt association and is supported solely by dues and contributions. To contribute, donate online or make your check payable to ICTA and mail it to David Crenshaw, P.O. Box 237, Dacula, GA 30019. For ICTA dealer-members, our team of experts has produced a white paper, “The Impact of the Supreme Court Decision in South Dakota v. Wayfair on the Numismatic Community,” that goes in-depth about the totality and complexity of the interstate taxation issue that our community and others now face. To download a copy of the white paper, log in at ictaonline.org, then select Resources > White Papers > Sales Tax Exemption. Another ICTA dealer-member resource will be a quick reference guide of the post-Wayfair sales-tax laws in each of the states. With the states now swiftly acting to collect sales-tax revenue beyond their borders, we will keep the guide updated as changes occur. As soon as the guide is available, an announcement will be made to our members.